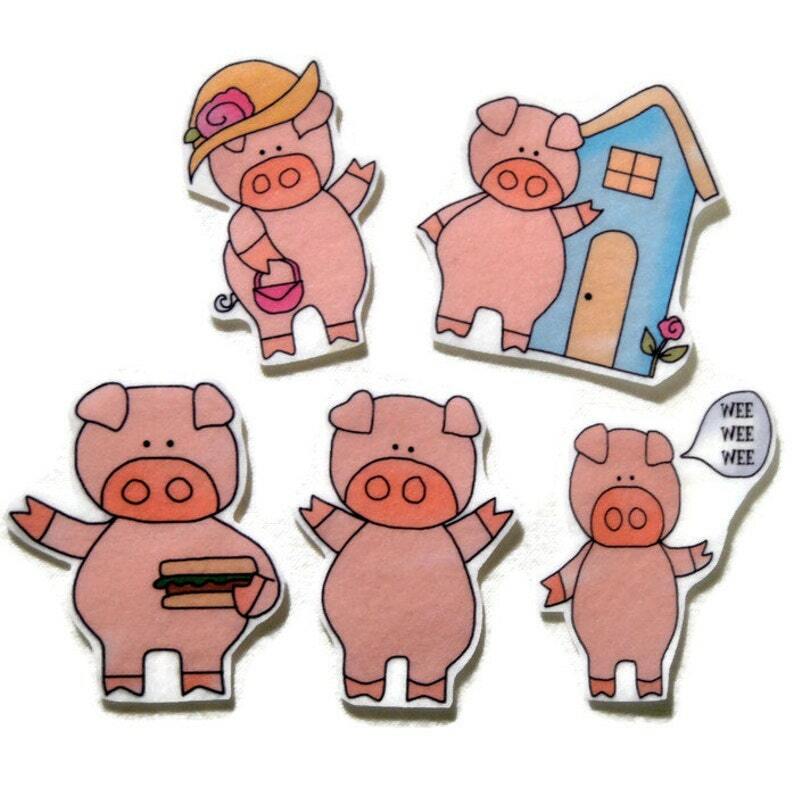 Bring the nursery rhyme about the five little piggies to life with this adorable felt board set! It includes 5 felt pieces for independent, quiet play or group activities. The regular size set (about 3 inches) is perfect for small/medium felt boards. But if you are looking for larger pieces for a bigger board or large group, the extra large set (5 inches) is also available.These pieces are made of felt and will stick to felt or flannel. Need a felt board? Check out these options! Cute product! Just like the picture. Really pleased with this item. Grandson and his Mummy have fun playing with it. Thank you. Quick shipping, great product. Thank you!